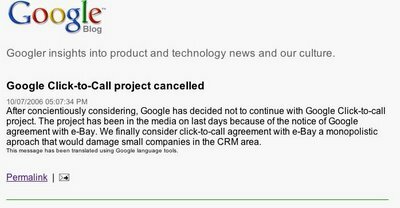 Google's official blog was hacked on Saturday. 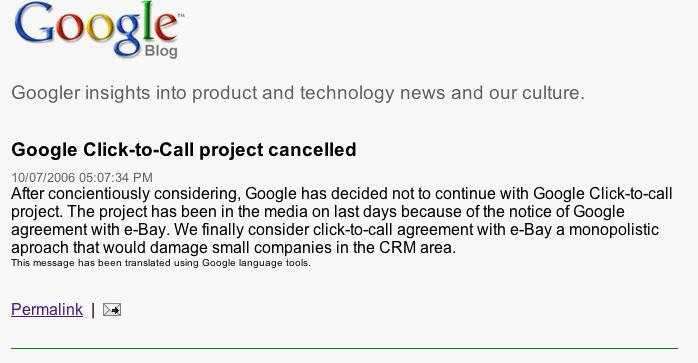 The hacker posted that Google was cancelling its Click-to-Call project. While the security flaw that allowed a fake post to appear wasn't specified, this is a good time to re-evaluate how strong your password is for your blog. A strong password shouldn't have any words you'd find in a dictionary, should be different from previous passwords you've used, and be at least 7 characters long (this last tip from Microsoft). If you're using Blogger's e-mail post feature, make sure to have a hard to guess mail-to-Blogger address.